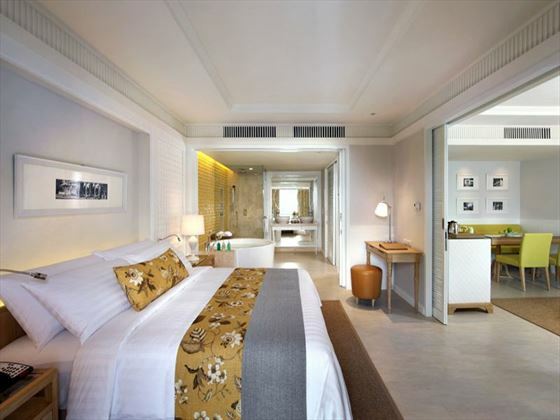 With verdant hillsides and city sights combining with some great facilities in-resort, the Amari Hua Hin is just what you need to take a break on Thailand's southeast coast. 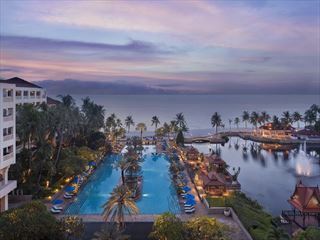 Set in well-maintained gardens, the nearby Takiab Beach provides a refreshing sea breeze and the good choice of restaurants all help to produce a comfortable resort from where to rest and relax with nearby markets, temples and golf courses providing plenty of excuses to get out and explore. Swimming pools, fitness suites and organised beach games are all superb ways to spend your day and if you’re travelling with little ones, the kids' club is ideal. 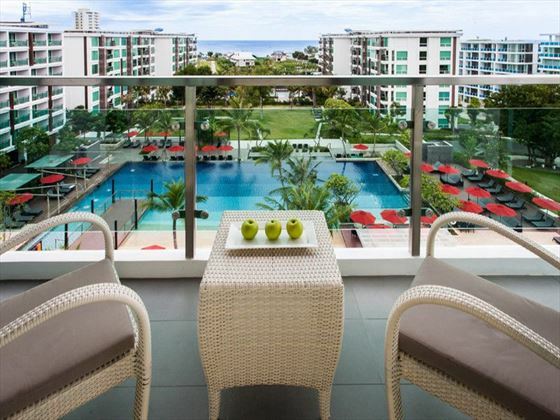 Situated alongside Khao Takiab Beach overlooking the Gulf of Thailand around 10 minutes from the markets and entertainment districts of Hua Hin and not far from a couple of golf courses and the local railway station. Suvarnbhumi International Airport is around two and half hours away by car. 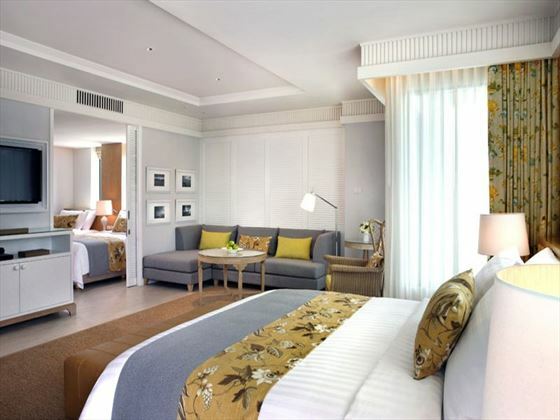 Deluxe Rooms – subtle and natural décor with two double beds and floor to ceiling windows. 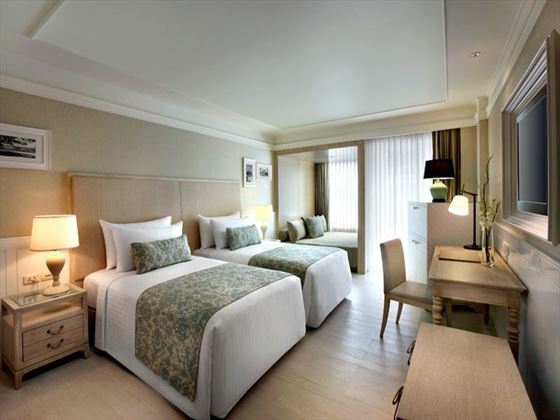 Deluxe Hillside, Pool and Ocean View Rooms – same size and style as Deluxe Rooms with choice of half or full balconies overlooking beach, hillside or hotel swimming pool. Suites – larger than Deluxe Rooms with divided living room, dining area and bedroom layout as well as spacious balconies from where to enjoy pool or ocean views. 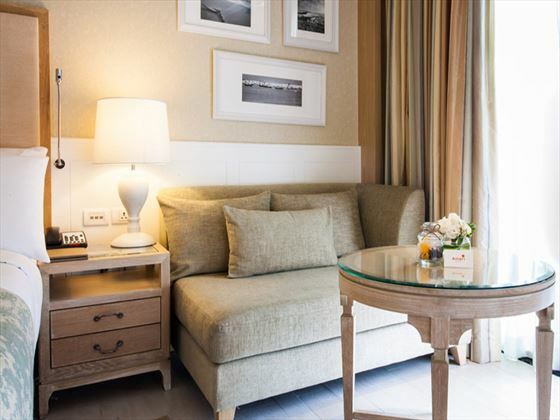 Family Suites – about the same size as Suites with one king-size bed and two single beds separated by a sliding door, in addition to hillside or pool views from floor to ceiling windows. 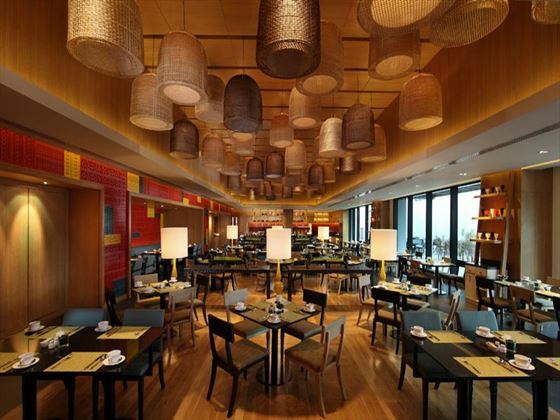 Mosaic – open for continental breakfasts, international dishes and Thai favourites served throughout the day. 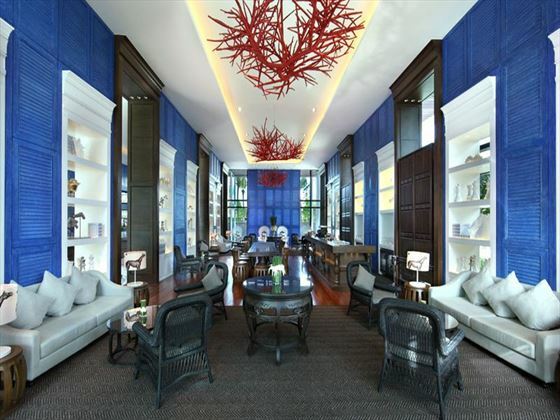 Coral Lounge – coffee, cakes, teas and wine menu served in the lobby. 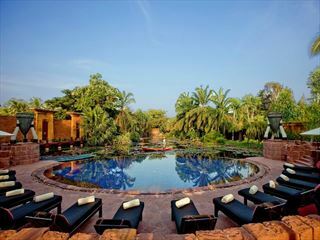 Aqua Pool Bar – noodles, satays and traditional Thai street food served by the pool. Reef Deli & Wine Lounge – cheese, cold cuts and wine within an indoor and alfresco modern lounge bar setting. 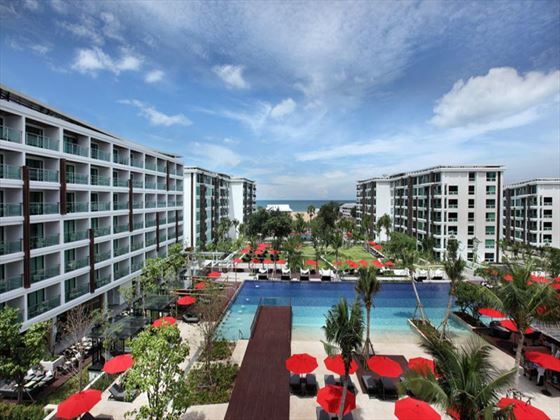 Shoreline Beach Club – grills, drinks and barbecues to accompany a laid-back and trendy lounge vibe. In-room dining – international and Thai menu items available in the comfort of your own room on a 24 hour basis. 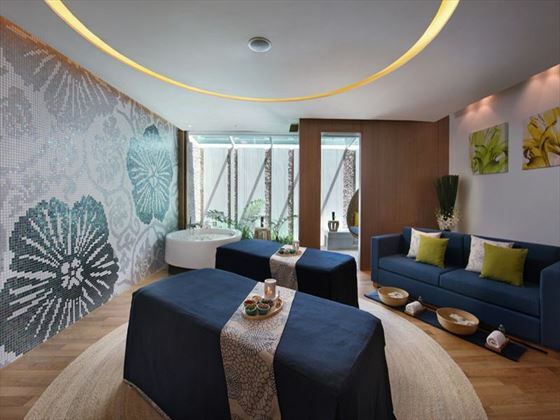 Breeze spa and beauty salon for modern and traditional Thai pampering and preening pleasures. Please note that the Shoreline Beach Club will be closed until 1st Dec. All services will be moved to the Aqua Pool bar at this time. Beach access is still available but there will be no service on the beach. From Sep - 31 Oct upgrade work will be carried out outside the Mosaic Restaurant. Work will be carried out from 10.00-5.00pm from Monday to Thursday and there may be some noise disturbance around the pool area. Aleenta Resorts & Spa is a collection of small, award winning luxurious boutique hotels with suites, pool villas, and private beachfront villas with stunning design and personalized service.